Nora Linares-Moeller was named HousingWorks Austin’s Executive Director in April of 2018. She had served at the organization’s Interim E.D. since August of 2017. Nora’s civic and political achievements span the past 42 years. She spent 12 years in state government management with the last five serving as the first Executive Director of the Texas Lottery Commission. Under Linares-Moeller’s direction, the Texas Lottery achieved international prominence setting industry records for the sale of instant, Lotto and daily game tickets. In 1997, Nora started her consulting company serving gaming clients all over the world, as well as other companies, nonprofits and political candidates. Her work in affordable housing began in 2013 as the fundraising consultant for the highly successful Keep Austin Affordable bond campaign. That work led to her involvement with HousingWorks Austin, which began in 2014. Besides fundraising and capacity building, Nora has played a vital role in helping organize events for HousingWorks, including the Housing + Health Summit in 2016, a first for the organization. 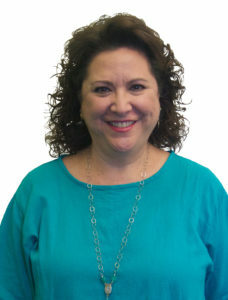 As a community volunteer, Linares-Moeller serves on the Board of Directors of Ballet Austin (Past President), President of the Board of the Sally M. Kingsbury Sarcoma Research Foundation, Inc., and the Vice President for Governance for the Friends of the Family Justice Center (serving San Marcos and Hays County.) She also serves as a National Board Member and Vice President of the La Union del Pueblo Entero (LUPE) organization, which was founded by Cesar Chavez. Born and raised in San Antonio, Texas, Linares-Moeller received her Bachelor of Arts degree in 1976 from Southwest Texas State University, now Texas State University. She is a 1989 graduate of Leadership Texas and a 1990 graduate of Leadership America.